This page (together with the documents referred to on it) tells you the only terms and conditions on which we supply any of the products (Products) listed on our website www.groundtrax.com (our site) to you. Please read these terms and conditions carefully before ordering any Products from our site. 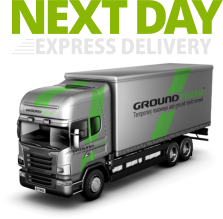 1.1 www.groundtrax.com is a site operated by Groundtrax Systems Ltd (we). We are registered in England and Wales under company number 07493268 and our registered office is at Station Yard, Ripley, Harrogate, North Yorkshire, HG3 3BA. Our VAT number is 1052 249 53. (e) YOU ARE NOT A CONSUMER. This means that you are accessing our site and shall enter a contract with us by requesting the supply of Products as part of your business or profession only. If you are not doing so as part of your business or profession, please contact our sales team on 03456 800008 or info@groundtrax.com as different Terms and Conditions will apply. 1.11a Payment for all Products via our site must be by credit or debit card. We accept payment with Master Card, Visa. We will not charge your credit or debit card until we dispatch your order. If you wish to pay by any other means please contact our sales team on 03456 800008 or info@groundtrax.com. 1.11b The law regarding Credit/Debit Card charges changed in January 2018. The new law applies applies to consumers and so businesses CAN still be charged fees, but as is the case currently, this should only be the amount it costs to process the transaction. The surcharge rules are based on how you pay not who you are, though. So if you pay with a business or corporate credit card you will be charged a 1.95% card processing fee, but if you’re a business owner using your personal credit credit you will not be charged the surcharge. 1.13 You must inspect any Products and notify us of any defect, shortage or incorrect delivery within 24 hours of delivery. 1.14 When you return a Product to us, for instance, because you have notified us in accordance with paragraph 18 that you do not agree to any change in these terms and conditions or in any of our policies, or because you claim that the Product is defective, we will examine the returned Product and will notify you of your refund via e-mail within a reasonable period of time. We will usually process the refund due to you as soon as possible and, in any case, within 30 days of the day we confirmed to you via e-mail that you were entitled to a refund for the defective Product. Subject to your notification to us within 24 hours of receipt of the Products that the Products are defective and subject to your use of the Product as being within the ordinary and recommended use of such Products, Products returned by you because of a defect will be refunded in full along with the cost incurred by you in returning the item to us. 1.17 In the event that you wish to return Products due to the fact that you have ordered incorrect or excess Product, we retain the right to charge you a re-stocking charge of 10% of the value of the Product. In such circumstances, you shall also be liable for the costs of delivery of the Product and the cost of the return return of the Product to us. Additionally, you will be responsible for the organisation of the return as appropriate. Regarding items that are made to order (this includes non-standard colours on non-stocked items), we retain the right to pass on any additional charges made to us from our supplier. This does not include our restocking fee. All prices quoted exclude VAT at the prevailing rate.